Bijou was one of Garrett's friends. 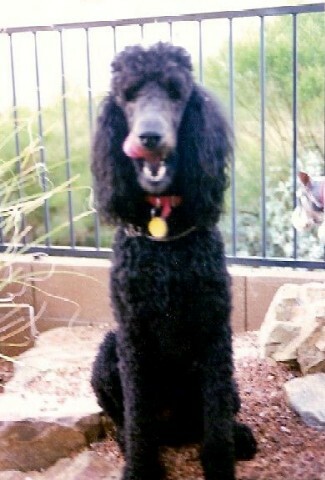 He was a black standard poodle, taller than Garrett but very lean. 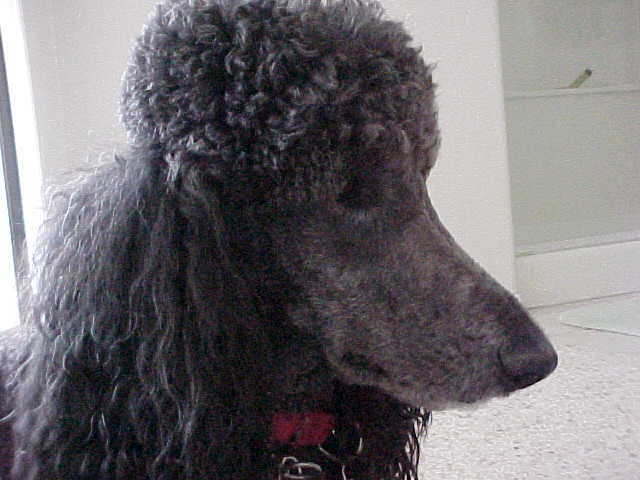 His black color had turned grey because he was a senior citizen. 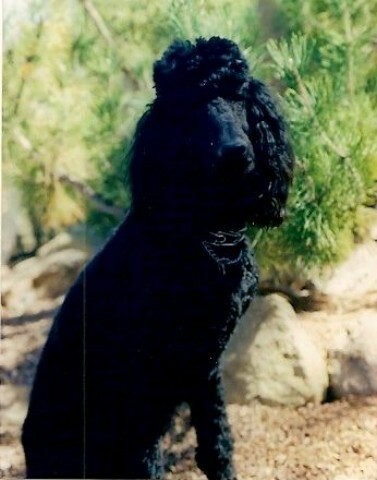 Bijou lived with his companion Tola and our friend Irene here in Tucson. 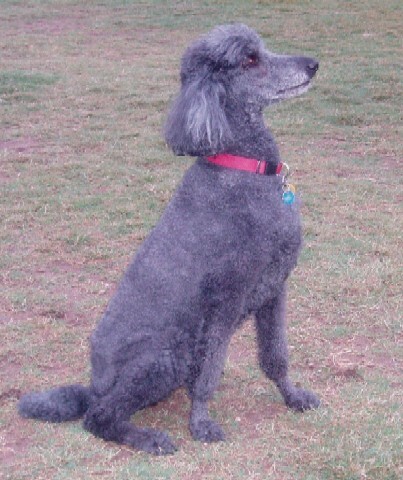 Bijou passed away on October 10, 2010 at the age of 12. He was born on December 9, 1997. 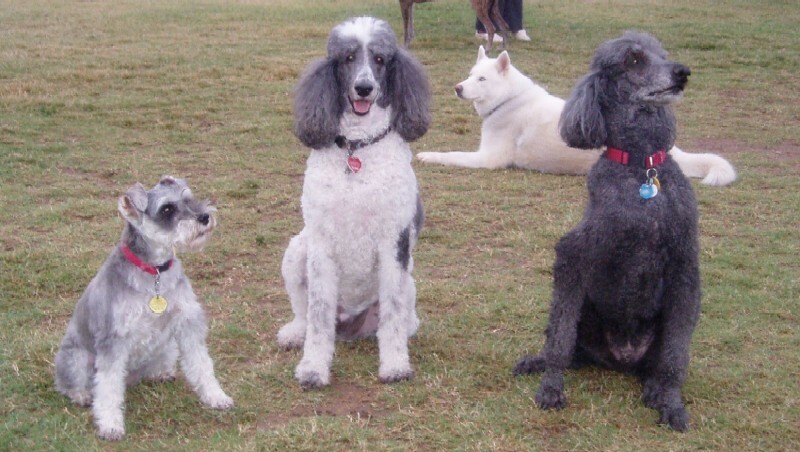 When Bijou was much younger, darker and heavier, he learned agility at Arthur Pack Park. 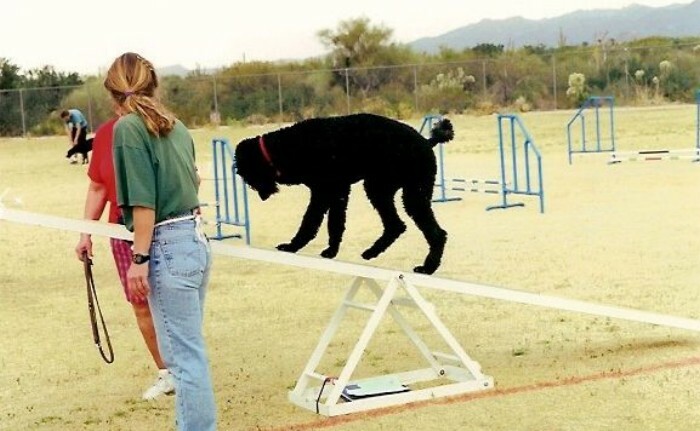 The three photos below show him doing his agility tricks. 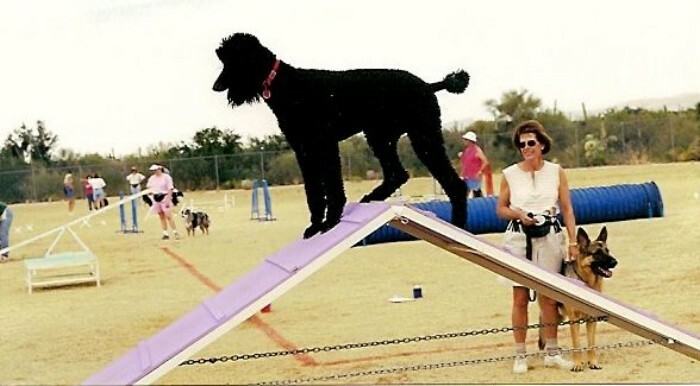 the photos above were taken in his backyard after an obedience training session. According to Irene, "He was a very good student and so was I." The recent pictures of Bijou below were taken in October 2010. 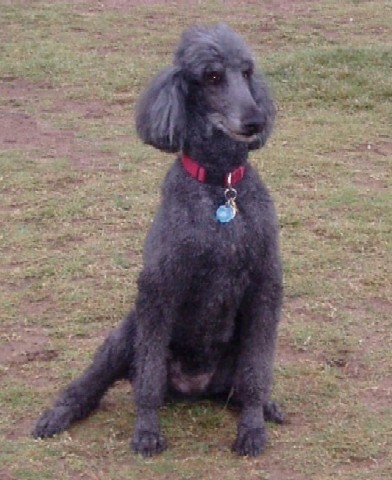 It is with great sadness that I tell you that my beloved companion and best friend Bijou passed away peacefully at home this morning. I’m sending this to those who knew what a wonderful dog he was. My heart is broken and I will greatly miss him. Tola said goodbye to Bijou in her own way and will also miss him. There will be a great void in both our lives.